This is definitely a move not to copy - unless you have a strong stomach. As I like to paraphrase: "with great yield comes great risk". Most readers will be familiar with PIBS (Permanent Interest-Bearing Shares), which are a kind of hybrid between preference shares and corporate bonds, particular to UK Building Societies. Many of them offer great yields - but there have been some PIBS horror stories recently. The warning (from the 2012 Annual Accounts) reads as follows: A review during 2012 of the Society’s PIBS Offering Circulars and the specific terms of IAS 32 - Financial Instruments: Presentation, highlighted that the instruments do not confer a contractual obligation on the Society to deliver cash in the form of interest payments. 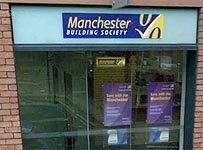 Consequently the Manchester BS has reclassified their PIBS as 'equity' rather than 'debt'. To understand the significance of this, just read the introduction to the 2012 Accounts. The management discovered that they were not accounting properly for its book of fixed-interest mortgages and the related interest-rate swaps - resulting in a major restatement, and a loss for the year. The immediate emergency has been dealt with by raising more capital in the form of a new type of security called 'Profit Participating Deferred Shares' and the Management is making reassuring noises about the future sustainability of the business. But the writing is on the wall: if things do not improve, you might not get your PIBS income. On the positive side, this could be a great little earner to put away for the long run. Update 23/5/14: Make sure you read this article before buying. 9% yield seems low for a PIB with a sword dangling over its head. I picked up NWBD on a much higher yield than that even thought these are (in effect) cumulative. Declaring the coupon as discretionary and therefore 'loss absorbing capital' is a good wheeze if they can convince the Regulator. CPBB is non cumulative & look where that sits now! I have ditched all my Pibs recently, as well as most of my bank paper, even those with good credit ratings. Government interference in any free market causes problems.